I have a tendency to both glamorize the past and Britpop and frequently those impulses converge. From 1987 to 1988, I worked at a college town used record store which was not what I would call a cool record store but more a good place to find stuff for my collection. I met a lot of cool customers during that time and that era of my life I associate heavily with first getting into Creation Records bands; I was already into 4AD a bit too much, going from buying any import cassette with the 4AD logo at the DC Tower Records to buying any CD from the label at the old Olsson's in Georgetown or, again, at Tower. And from September 1988 to about May 1990 when the store closed, I worked at The Record Co-Op, a record store on the campus -- in the basement of the Stamp Student Union building -- of the University of Maryland. Not quite a "co-operative" as the name suggests, we were more a one location new music store, ordering directly from the major labels and from distributors and import music vendors. I had gone from customer-buying-4AD-imports to guy-ordering-the-4AD-product for the store to stock. Those two years I got a lot of free "promos" in the mail and a lot of free concert tickets and I met a lot of artists at concerts and other functions. But I also came to know a handful of what I'd call the "cool" customers; I think any good record store employee tends to judge people based on their purchases which are usually reflective of that person's taste. Some customers of this store later formed Velocity Girl, with Bridget Cross going from that band's first incarnation to the seminal D.C. non-Dischord band, Unrest, to Unrest's "spin-off" -- for lack of a better word -- Air Miami. Now, while I was impressed at the time that people I knew could form a band named after a Primal Scream song and get signed to Sub Pop, I was especially impressed that someone I knew from that era could get signed to the almighty 4AD label which Unrest and Air Miami did. 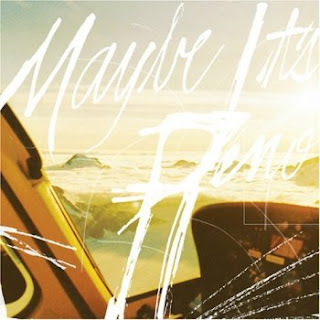 So that's quite a long, personal introduction to a mini-review of Maybe It's Reno's first self-titled release. I somehow missed this entirely -- was I too busy looking for a mediocre Dirty Pretty Things single last year? Maybe. DPT broke up, anyway. The band is essentially Bridget Cross from Unrest/Air Miami with members of those two bands backing her up. The sound is a bit more stripped down but still nice, reminiscent of early work from Tracey Thorn with a more vibrant -- sometimes low key -- vibe underneath the vocals. Parts of the album -- songs like "Gravestones and Christmas Trees" -- recall Rebecca Gates from The Spinanes. But the harder rocking "Drunk Pilot" recalls Tanya Donelly's work with Belly (also 4AD artists). The other standout track for me is "Venice Gate" which is enough like Laura Nyro -- but with some nice slashing guitar riffs thrown into the mix -- to please this fan. I think that if you liked Bridget's vocals on Unrest's "Light Command" or Air Miami's "Seabird", you'll be quite happy with this first album. I hope the band records more and eventually tours. And you can order the CD or download the album here from Amazon.com. Or you can buy directly from Teenbeat Records. For old times' sake, here's one of my favorite Unrest songs -- even though Bridget is not the lead vocalist, her bass work is quite prominent on this track. I always put this song on mixes next to mid-1980's era Wedding Present for some reason.